of two-three in your home or at a mutually convenient location. student and they will respond. I have seen this time and again. I am very patient and have worked with special needs students as well. work they are currently undertaking and then I seek to get them ahead of their syllabus. I can assist with editing of assignments, business reports with a quick turnaround time. I have written numerous articles for magazines and have won awards for my writing. Samples are available on request. Gerard has no blog post yet. Start a chat now if you have any blog post topic for Gerard. How would you rate Gerard? 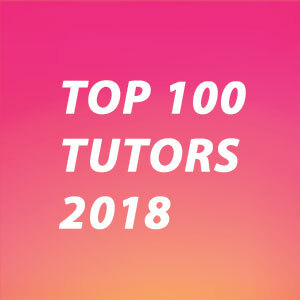 Fantastic Tutor, very patient, very comprehensive skills, definitely helped my Daughter for her Year 12 Accounting Tests and Exams. Amazing tutor. He really new his stuff and communicated it in a way that within a short space of time got results. Our year 12 son loved his English tutor sessions and we haven't hesitated in securing Gerard for our year 11 son next year for math. Worth the time and money. Gerard was professional, logistical, patient and hard working. Beyond grateful. My daughter. Highly recommend him. It's truly pressure having the opportunity to have Mr Shannon Gerard as my son's tutor. He puts evident effort into his work, he is kind, caring and has friendly character that makes him a role model for my son who has made great progress since the beginning of the tutoring. I cannot say thanks enough for Mr Gerard's hard work that produced quality results in my son's learning. We really appreciate a positive difference and the lifetime skills that he is teaching my son. If you want real accomplishment, Mr Shannon Gerard is the tutor to count on. From the first lesson Shannon has shown incredible professionalism in his work and care for his students. He has always kept track on how each of his students are going with their work as well as provide helpful advice on how to improve. Shannon is a great tutor and I highly recommend him to students who are looking for a tutor. As a parent of a year 12 student who was basically abandoned by the government school teacher, the help that Shannon was able to provide was immeasurable. At a time when my daughter had lost interest in the subject, Shannon managed to restore her self belief and provide her with the knowledge to actually pass - versus certain failure otherwise. I have no hesitation in recommending Shannon to everyone. He is first rate. wealth of knowledge and a down to earth style of teaching. lesson feeling positive and enthused about his future!